As you would expect from the Economist large parts of the report appear to be factual, carefully researched and where editorial views are provided, these are on the whole sensible and liberal-minded. It argues against the forced banning of burqas that we have seen in Austria, France, the Netherlands, Denmark, Belgium, Hungary and Bulgaria. The Economist appears to be correct when it observes that an Islamic identity was especially appealing to those second-generation Muslims that were not comfortable with Western norms or with their parents’ more traditional norms. I am pretty sure that the Shi’a – and not just the majority Sunnis – also consider Ahmadis to be a non-Muslim sect. The Economist identifies what it sees as four main strands amongst Western Islam: Salafis, political Islam, liberals and lapsed Muslims. The Brelvis are unlikely to be happy about this (though to be fair, many Salafis would probably agree to place them in the “lapsed Muslims” category anyway!). The phenomenon of – an admittedly tiny number of – Western Muslims engaging in acts of terrorism and brutality has clearly shaken the Western public and has led to a lot of soul-searching about how best to integrate the now 26 million Muslims in Europe. The Economist has surely done the right thing by standing up for religious plurality and tolerance. Still, having said that, I would have liked to have seen more written about the impact on Western Muslims of the West’s policy of effectively turning a blind eye to ongoing Israeli crimes and brutality in the Occupied Territories, and the nod and wink given to Algeria’s military rulers to launch a coup to prevent the democratic victory of the Islamic Salvation Front (FIS) in 1990/1991 by arresting the FIS leaders and crushing all dissent. More surprisingly for a report on Western Islam there appears to be nothing said about the genocide of Muslims in Srebrenica in 1995 and how that affected European Muslims. As a third generation of Muslims in the West now prepares to take the helm, many interesting challenges face the Muslim communities in the West. In a West where the role of religion has been very visibly declining, will Islam follow the same course and be largely confined to the private sphere as the secularisation thesis asserts? Will Muslims accept that universal human rights must trump the restrictions advocated by conservative interpretations of ancient religious texts if human societies are to achieve greater equality and opportunities for all? In my experience, the Prevent brand was unfortunately badly tainted by the then Labour government’s decision back in 2008/9 to cut off relations with large community led groups such as the Muslim Council of Britain while funding (and promoting) new outfits such as the Quilliam Foundation which were widely disliked by UK Muslims because of their leadership’s support for the illegal war against Iraq and their attempts to whitewash the dispossession and terrorisation of the Palestinians by the Israelis. In addition, a number of new Muslim outfits that emerged around this time under the Home Office/Prevent umbrella and claimed to be “independent” but were to UK Muslims evidently anything but independent. Having said this, the government obviously must have a counter-radicalisation strategy. Bearing in mind that the government has strategies to tackle knife crime, gun crime and drugs, it would be clearly untenable if it did not also have a strategy to try and prevent people, be they Muslim or non-Muslims, from being drawn towards violent extremism. As Muslims currently constitute between 3-4% of the UK population, these critics say that it is a clear example of discrimination that 45% of those referred to Channel are Muslim. But is it really? If a significant part of the current domestic terror threat to the UK is from al-Qa’ida or ISIS-inspired terrorism – as it clearly is – then the laws of mathematics make it rather likely that a significant percentage of those referred by Prevent for possible mentoring will be UK Muslims. To argue that this constitutes discrimination is a bit like claiming that Christmas discriminates against turkeys or Qurbaani against sheep. I very much hope that UK Muslim groups will actively contribute to the independent review and put forward their concerns about Prevent. 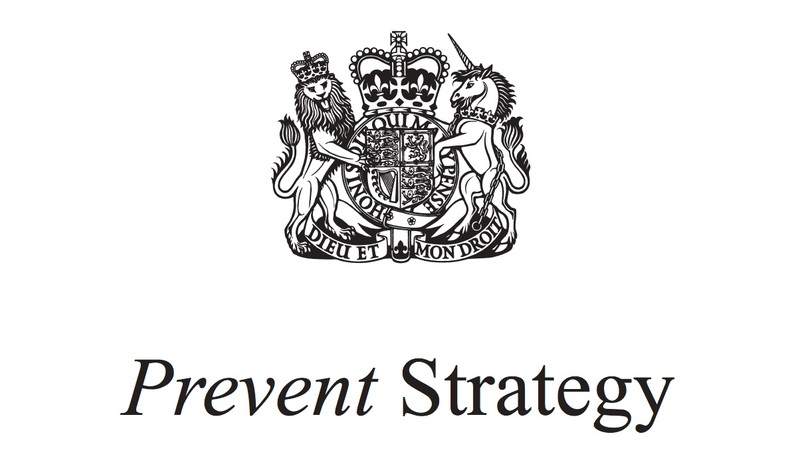 By helping make Prevent more effective they will be contributing to the safeguarding of our country and its people. And there can be few better ways to demonstrate the genuine teachings of Islam in action than by cooperating with others to safeguard innocent lives. What was the best TV programme shown over the Xmas period? Not the BBC’s adaptation of The ABC Murders with Poirot played by John Malkovich. Nor Bandersnatch – the gimmicky Black Mirror ‘interactive’ episode that was really a humourless rip-off of – the much more entertaining – The Truman Show. No, the best programme on TV this Xmas was the three part Royal Institution Christmas Lectures shown on BBC4. Presented by the anatomist Professor Alice Roberts – who some years back also presented the wonderful series Origins of Us – this year’s lectures were on the theme “Who Am I?” The series discussed our kinship with all other living things including plants and animals in a very entertaining and informative way designed to appeal to a younger audience. If like me you are not a science graduate – (I did Computer Science, but it was not really science. Computer Engineering would have been much more accurate, but our head of department told us that many more students enrol if they called it Computer Science.) – then the annual Royal Institution Christmas Lectures serve very well as a kind of Dummies Guide to Science. If you have ever wondered why babies wrap their hands tightly around your finger, or why some people can wiggle their ears or why some people are left-handed or why human embryos have tails in the earliest stages of their development, Alice Roberts offered some ingenious explanations based on our latest knowledge. You can still watch the series on BBC iPlayer for the next 25 days – after that I assume they will be available on the website of the Royal Institution where you can watch the lectures from previous years. Steven Pinker’s new book, Enlightenment Now, comes with an impressive recommendation from no less a figure than the principal founder of Microsoft and noted philanthropist, Bill Gates, who describes it as “my new favourite book of all time.” For my part, my spirits were lifted when I saw a familiar quotation right at the beginning of the book from the physicist David Deutsch: “Everything that is not forbidden by laws of nature is achievable, given the right knowledge.” Deutsch happens to be the author of one of my all-time favourite books, The Beginning of Infinity. 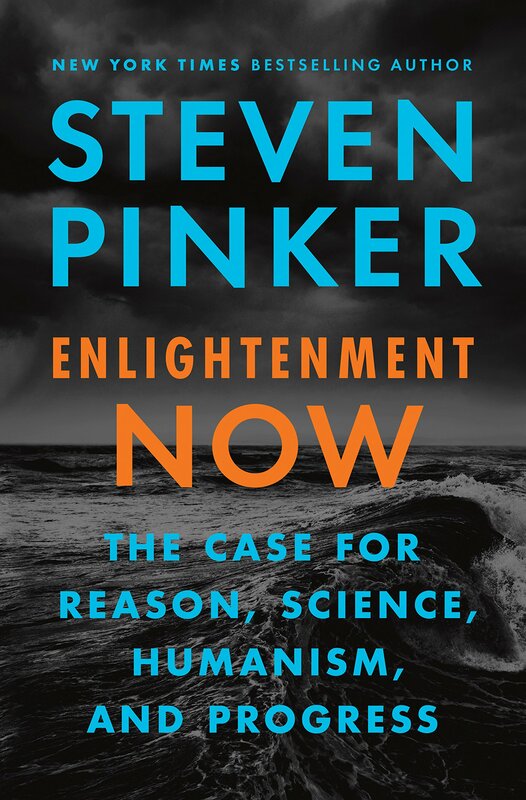 The quotation from Deutsch is certainly very apt as it underlines a major theme of this book whose full title is “Enlightenment Now: The Case for Reason, Science, Humanism and Progress”. At a time when populists and demagogues appear to be on the rise, Pinker’s re-affirmation of the values of the Enlightenment and his insistence on spelling out in detail via no less than seventy-five graphs how the human condition has improved in recent centuries is very welcome and for believers – and I include myself in this category – contain a number of passages that will prove very challenging. Look at that again. “Smallpox was.” The last case was diagnosed in Somalia in 1977 after the World Health Organisation set itself the task in 1959 of eradicating the disease. It was a tremendous achievement and it was due to an increase in our knowledge about vaccinations. There has also been major progress made in the fight against measles, diphtheria and whooping cough with vaccines having been discovered for each of them. For Muslims, this may serve as a reminder of the Qur’anic prayer “My Lord – increase me in knowledge” (Qur’an 20:114). By contrast, Pinker refers to the progress made when we think about maximising human happiness and freedom. He contrasts the religious penalty for idolatry with the words of Thomas Jefferson. The choice is a clear one. Which form of government, religious or secular, will grant more freedom to human beings and prevent more discrimination? When we look at some of the most self-professedly religious states in the world today, whether it is Saudi Arabia, Iran, Afghanistan, Sudan or the Vatican city, Pinker’s argument does seem to have considerable force. Pinker insists that allowing vigorous open argumentation and reasoned critiques (which interestingly the Muslim societies mentioned a couple of paragraphs above notably do not seem particularly keen on) will lead to good ideas prevailing and bad ones being rejected. Will we see this progress in the Muslim world? Pinker is optimistic. Since Pinker’s book was published at the beginning of 2018, this year has seen Muslim organisations protesting in Tunisia – a country with a relatively free press and more liberal attitudes compared with much of the rest of the Arab world – against laws that would grant women equal inheritance rights with men. Maybe it is just birth pangs – because the growth of enlightenment values in much of the Muslim world is very much needed. 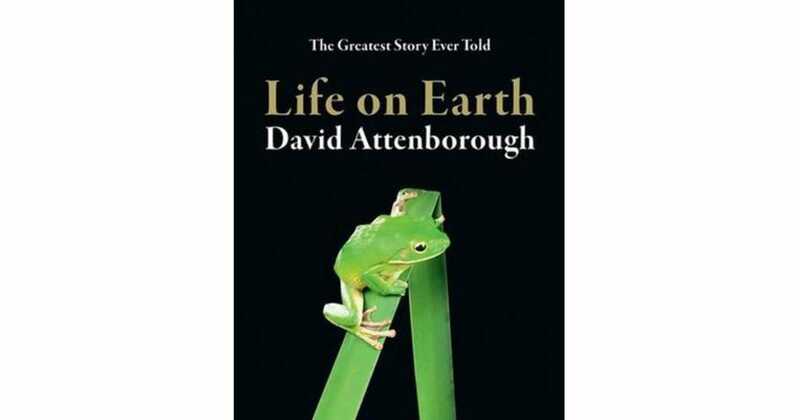 Today sees the publication of an updated 40th anniversary edition of David Attenborough’s classic book which accompanied his major BBC TV series, Life on Earth (though I think the publication of this anniversary edition has been brought forward a couple of months because I believe the original was published early in 1979. See below). It is hard to overstate the landmark undertaking that the BBC’s series represented. It was filmed over a period of three years and the result was one of the world’s most informative, beautifully filmed and best loved nature series telling the spectacular story of the evolution of life on earth according to our latest knowledge. 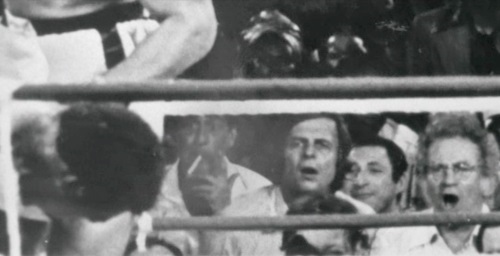 The book version of Life on Earth was divided into thirteen chapters – one for each episode in the TV series. It became a rapid and huge best-seller. 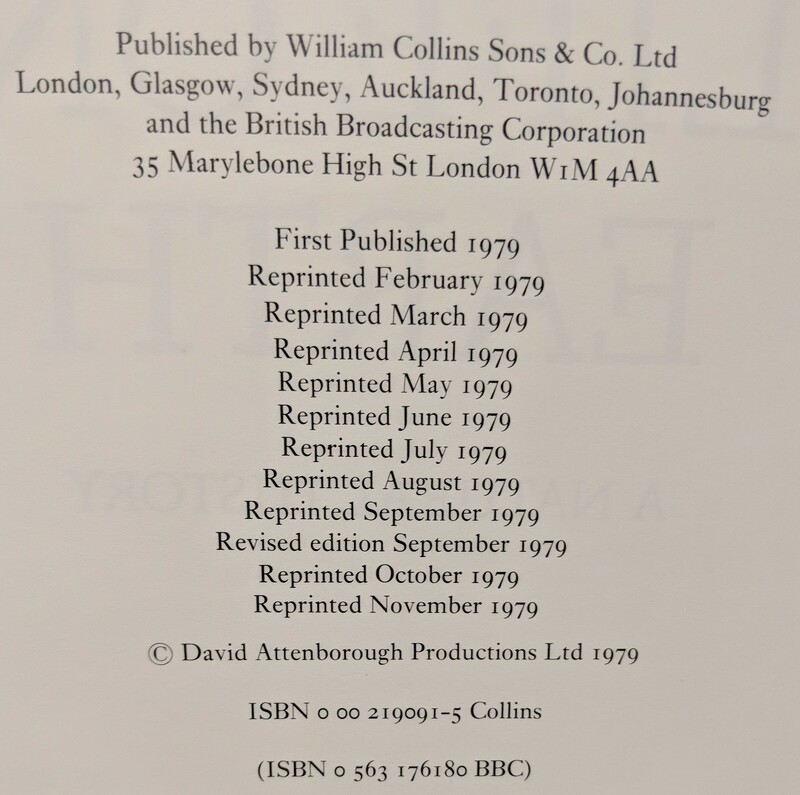 My copy was published in November 1979 and it shows that it was reprinted no less than eleven times in the very first year of publication due to its immense popularity. Darwin’s theory of evolution not only underpins all biological science, it has an immense predictive power. From understanding the emergence of antibiotic-resistant organisms, to the ways in which different species might respond to global warming – emerging as new pests or sustainable sources of food – human health and prosperity will depend on decisions informed by evolutionary evidence. For those of you who like me cannot get enough of David Attenborough – you can now purchase the Audible version of the updated 40th anniversary edition of Life on Earth which is narrated by Sir David Attenborough himself. Below is a short clip about the original series. I recall first hearing about George Smiley back when I was in Primary school. Alec Guinness was portraying him at the time in the now classic BBC TV adaptation of John Le Carré’s Tinker, Tailor, Soldier, Spy. George Smiley, the Cold War era English master spy. A thoroughly decent, professorial sort – he would surely have been an Oxford Don had he not been recruited into the “Circus” – who enjoys his visits to the British Museum and is pained by the frequent unfaithfulness of his wife. How could you not adore him? Smiley was first introduced to the world in 1961 in Le Carré’s novel Call for the Dead. In 2009 Radio 4 produced dramatisations of all eight novels that had featured George Smiley up until then. 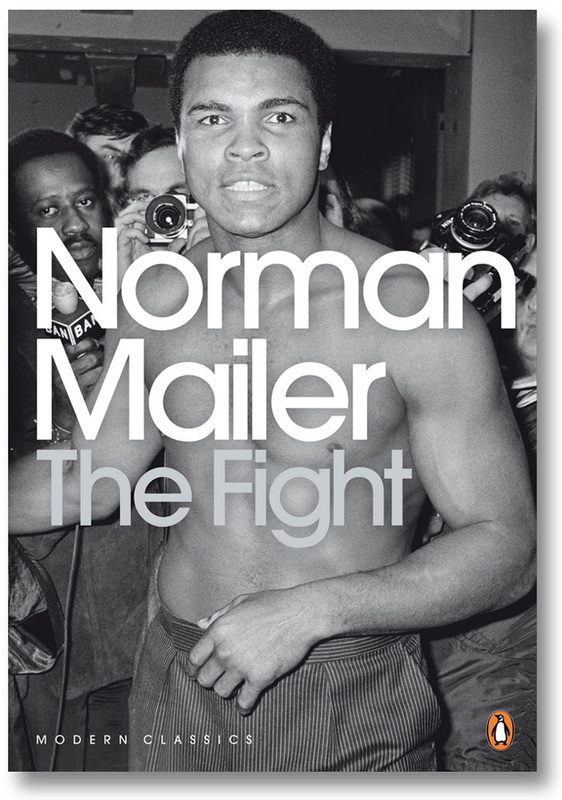 These are available for purchase as part of a single collection via Audible and are highly recommended. And now, with Le Carré in his mid-80’s, we surely have in A Legacy of Spies what must be the final novel that will feature our hero. A Legacy of Spies begins with George’s right hand man and protégé, Peter Guillam, now long retired and living in his ancestral home in Britanny, France. One morning, Guillam receives a letter from his former spymasters in London requesting his immediate return to assist with some legal inquiries. It transpires that two of the protagonists who died in very tragic circumstances in the 1963 novel The Spy Who Came in from the Cold, Alec Leamas and Liz Gold, had both been parents of a child each, and those children were now intent on forcing the Intelligence establishment to admit that they – including Guillam – had deliberately used their parents as fodder to protect a British mole in the East German hierarchy. It is an ingenious plot device that allows Le Carré and us to revisit some of the dark scenes back in the fevered atmosphere of the late 1950’s and early 1960’s. This allows for the pages of Legacy to be adorned with a cast of familiar characters including Control, Bill Haydon, Jim Prideaux and many others. 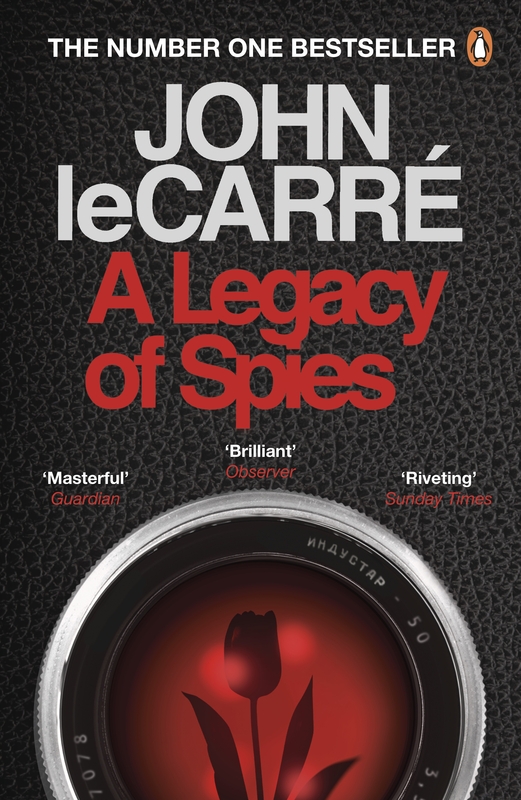 It does mean that the reader will require knowledge of the plot of The Spy Who Came in from the Cold and Tinker, Tailor, Soldier, Spy to fully appreciate the nuances offered by this latest Le Carré offering. And if that means that more readers will now have to become students of George Smiley – well, that can only be a good thing. And what does the old spymaster now value at the end of a long life after duelling with some pretty merciless foes? At a time when the achievements of Western civilisation and the insights provided by science are cheapened and derided by a host of global actors including an ignoramus US President on the one hand and closed minded religious fanatics and Brexiteers on the other, identifying Europe and reason as important goals to fight for is eminently worthy of our beloved spy master. This is a magnificently fitting tribute from Le Carré to his most memorable creation.